This entry was written by Sarah Jenkins, posted on 11/04/2011 at 11:41 am, filed under October 2011 category. 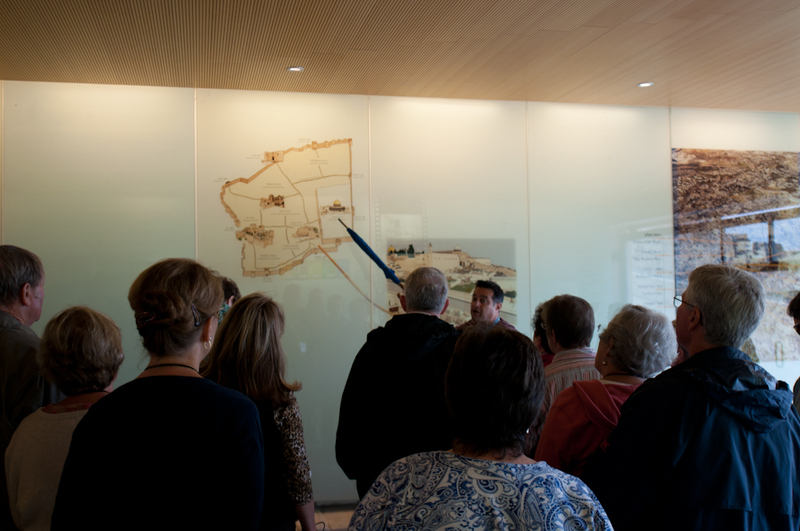 Today, we began our journeys in Jerusalem. 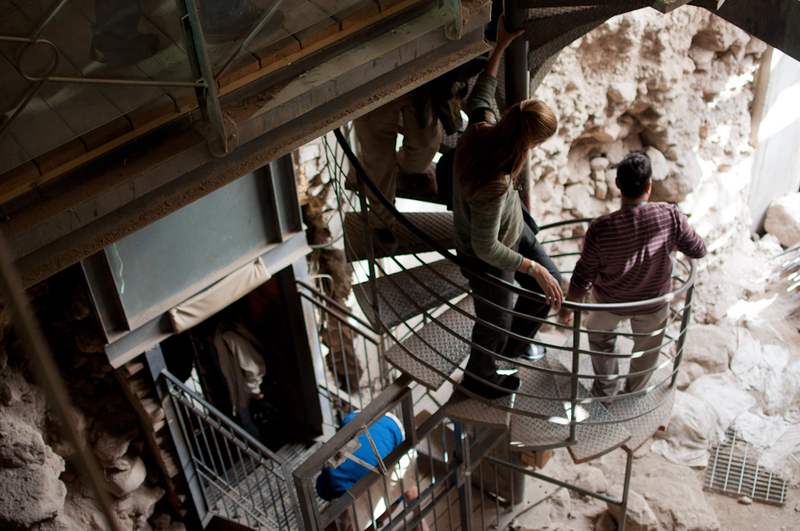 Our morning started with a visit to the excavations of the City of David. 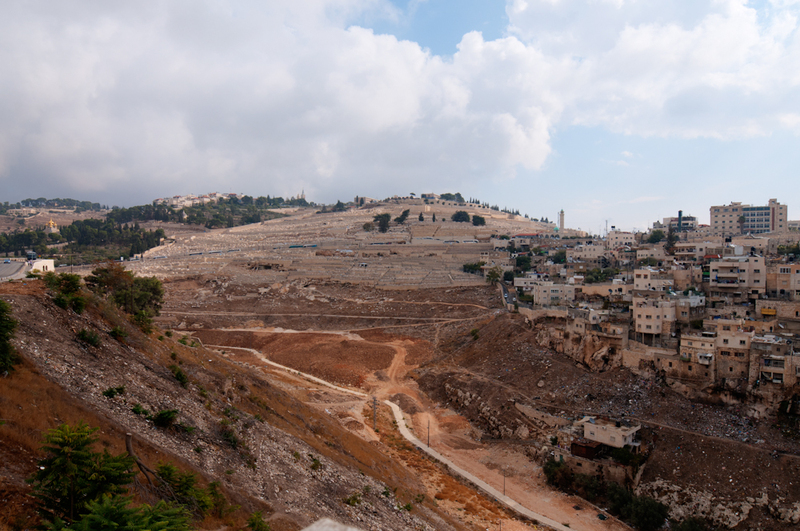 This place, nestled between the Valley of Gehenna and the Valley of the Cheesemakers, is the original Jerusalem. David conquered the Jebusite city around 980 BC, using a most unusual method. Since the city was situated on a hill in-between two valleys, it was a hard position to attack – any soldiers coming up to the city would be noticed immediately. 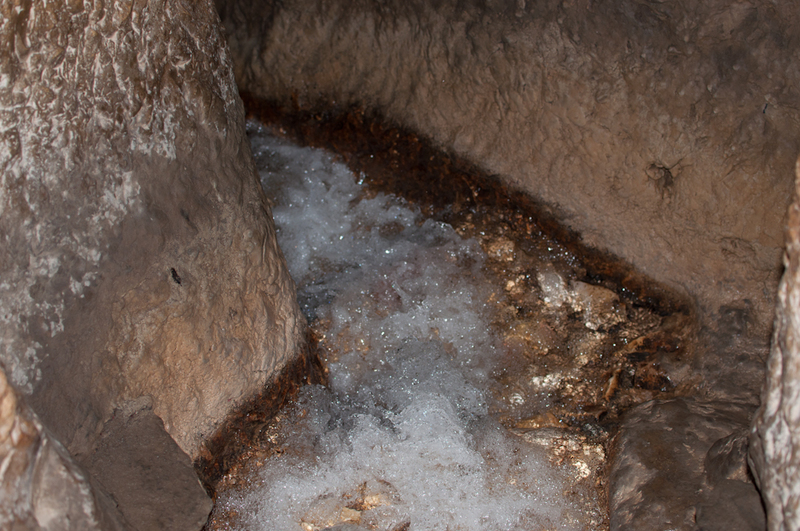 So, David sent his soldiers through the water system, which supplied the city with fresh water from the nearby Gihon Spring. 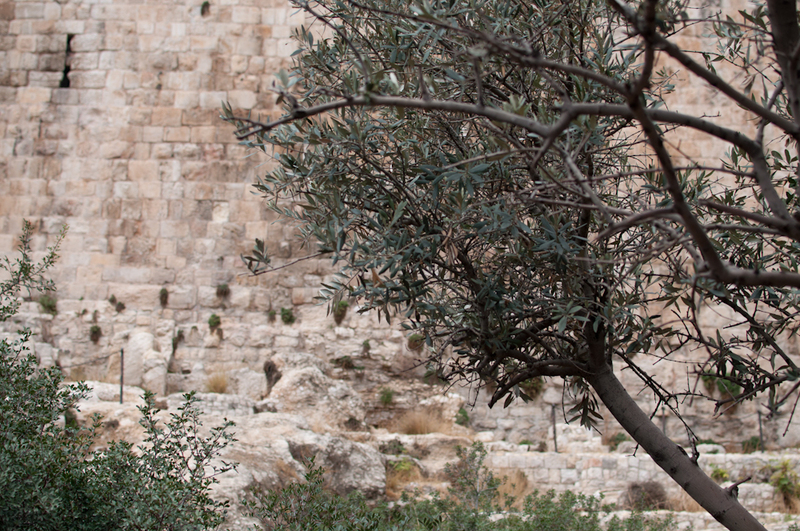 Thus, the city became David’s, and Jerusalem was born. 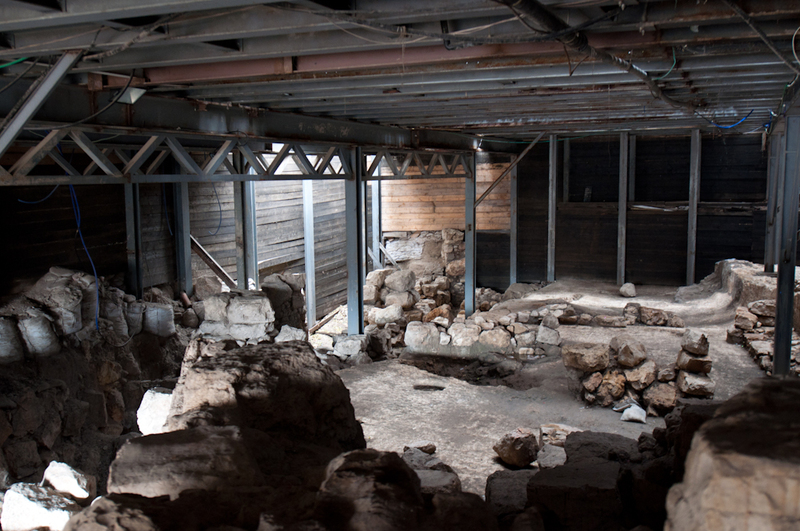 Today, digs have been going on for several years that have uncovered some of the oldest structures in Jerusalem. After watching a short film about the city and its vast history, we visited what is speculated to be the remains of David’s palace, and some homes that would have belonged to high-level rulers. 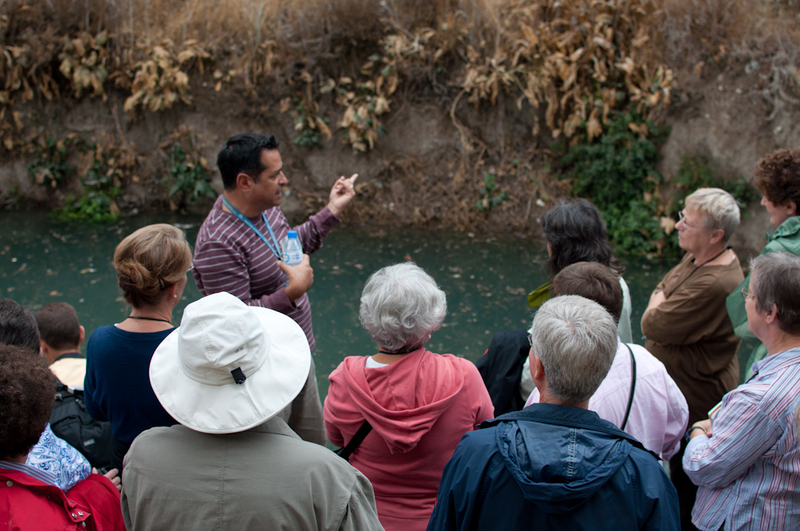 Yuval then took us to the remains of the water system that Hezekiah designed and built when Jerusalem was threatened by the Assyrians around 700 BC. 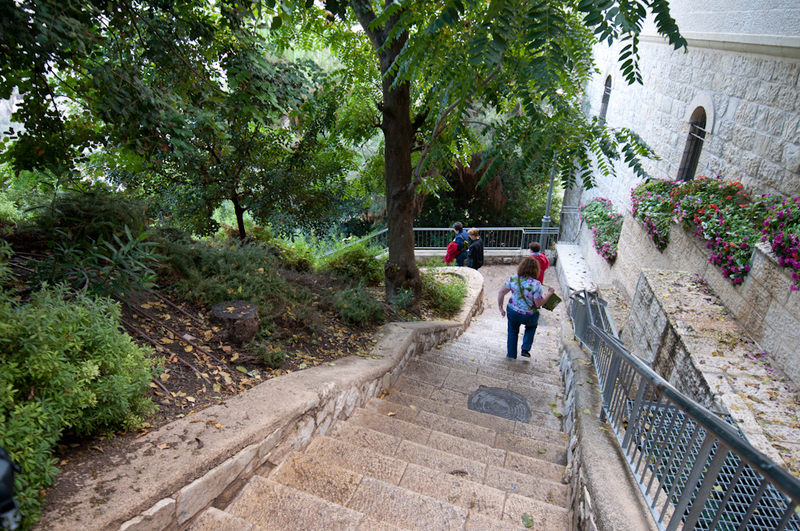 This rerouted the Gihon Spring, and brought the water closer into Jerusalem. This is one of the few structures from the 8th century BC that is still intact, let alone one that people can walk through and touch! The tunnels do still have water running through them, which makes for a wet and somewhat treacherous walk in the dark, so we opted to walk through the dry Cananite tunnel instead. 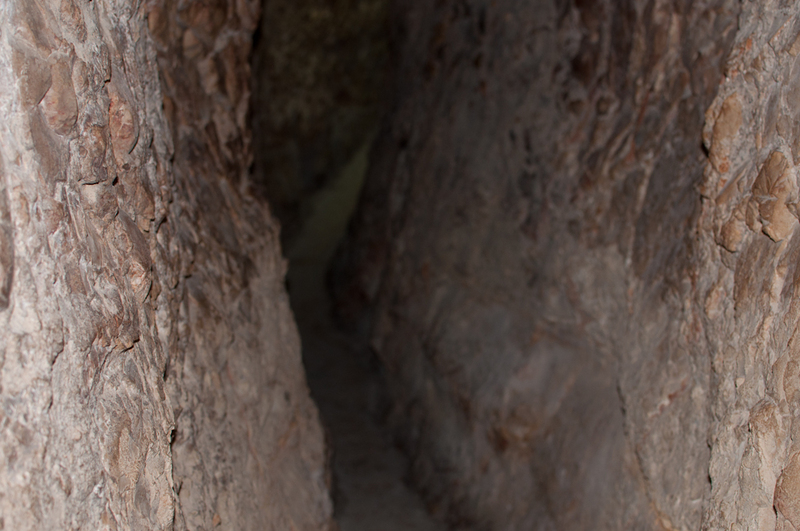 This section had been partially lit, unlike Hezekiah’s tunnel, and was still an incredibly tight fit! 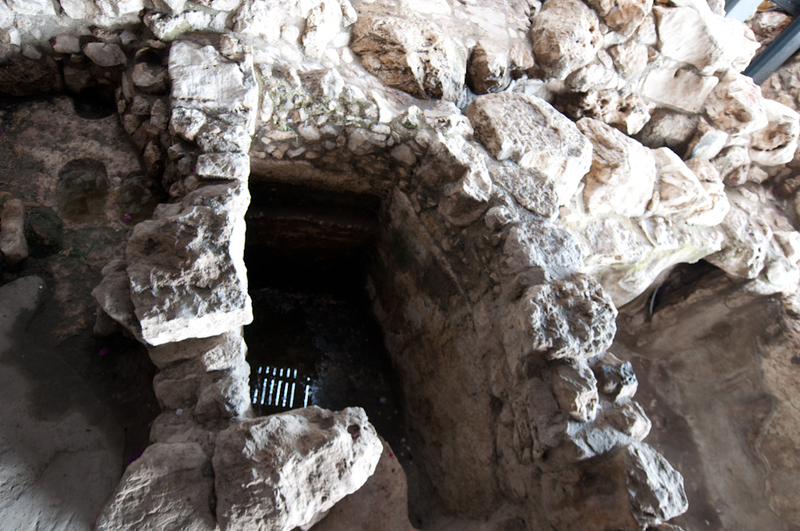 We all managed to squeeze through, and popped out of the tunnel just a short walk away from the Pool of Siloam, where the waters of the Gihon Spring were diverted by Hezekiah, and where Jesus healed the blind man using mud and spit. 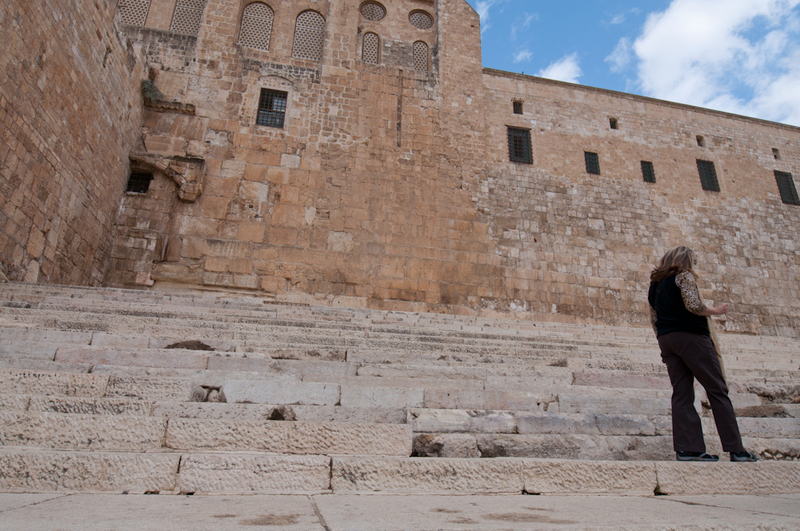 Standing by the ancient steps that once led down into this pool, we listen to Yuval recount the story of this man’s miraculous healing from John 9:1-41. Nearby groups retell the story in their own language, and some even sing songs as they gaze at the somewhat murky rainwater filling the pool. After leaving the Pool of Siloam, we paid a visit to the southern end of the Temple Mount, where several excavations are taking place. 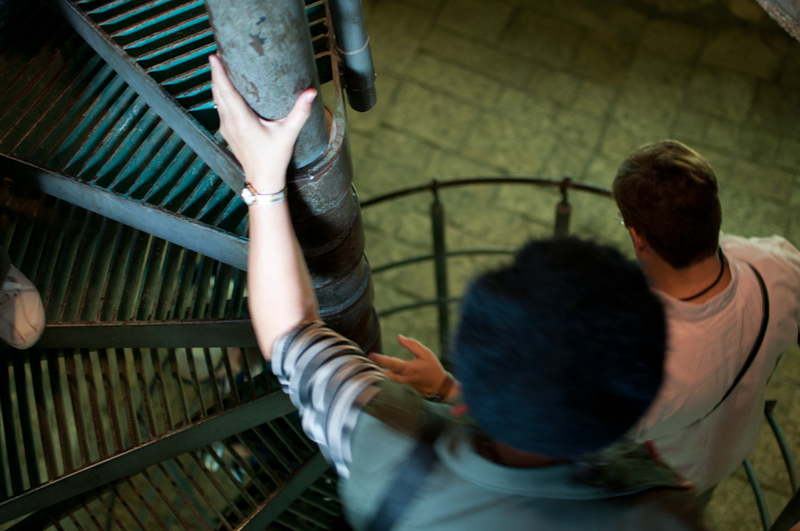 The Southern Steps is perhaps the most famous of those. 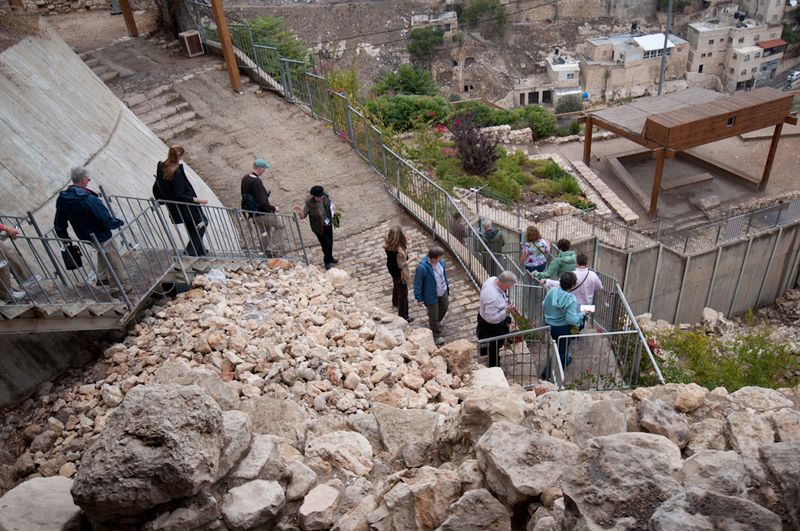 These steps are one of the places that we can say, “x marks the spot”, that Jesus would have been here. 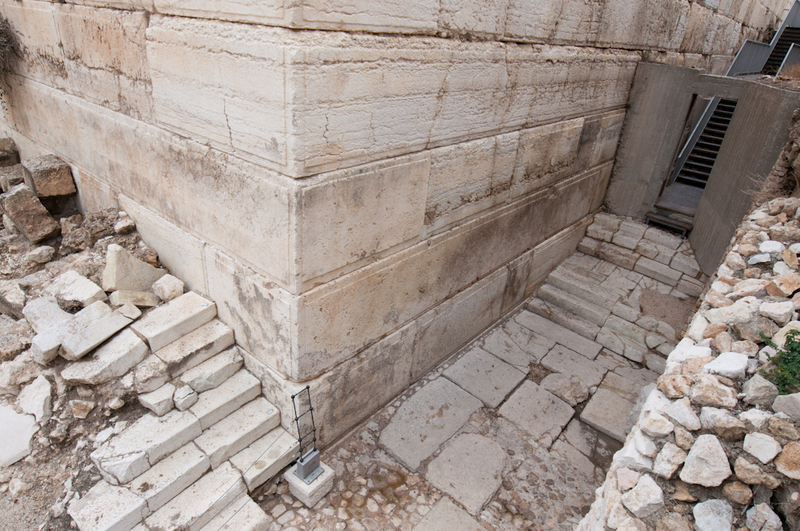 These steps led up from the street to the Temple, and they are how Jewish pilgrims from all over would have ascended the Temple Mount to bring their sacrifices on feast days. You can imagine just how busy these steps once were! There were two sets of doors – one for coming in, and one for leaving. Although they have long since been blocked up, it is easy to imagine the masses of people flowing in and out of the Temple. 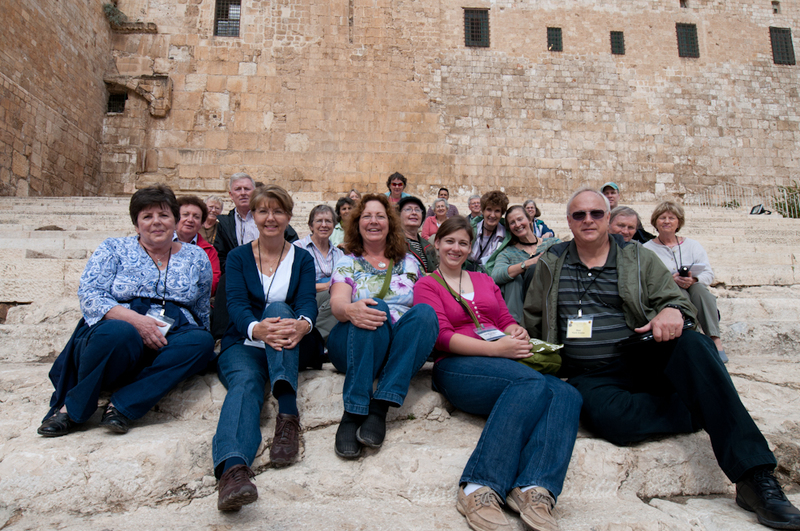 We spent a few moments sitting on the steps, watching the traffic at the foot of the hill and snapping a few pictures, before moving on to another section of the excavations – the street from the Second Temple period! 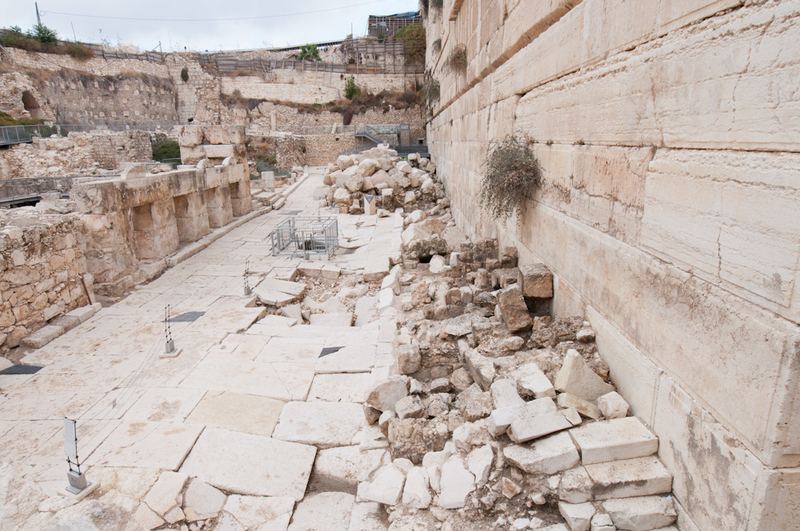 The street, though buckled and bowed from the weight of huge stones thrown from the top of the Temple Mount during the destruction in 70AD, is still chilling. The remains of what might have been shops that lined the Cardo, or main street, are still standing, and it is easy to imagine shopkeepers hawking their wares as you walked down the street. This is another place where we can definitively say, “x marks the spot.” Yuval leads us to a cornerstone, which had fallen from its place at the top of the wall during the destruction, and reads the description that it bears. 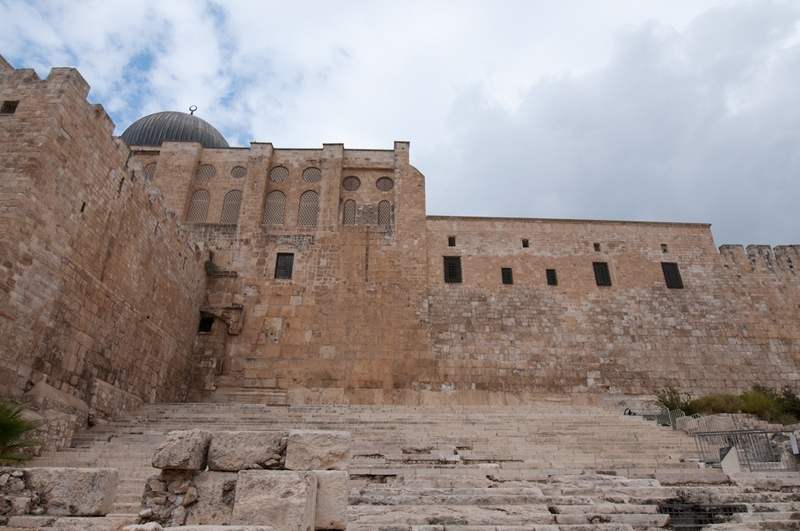 It proclaims in Hebrew, “the way of the trumpeters”, and is some definitive proof that the Temple existed, a fact which the Moslem community greatly disputes. 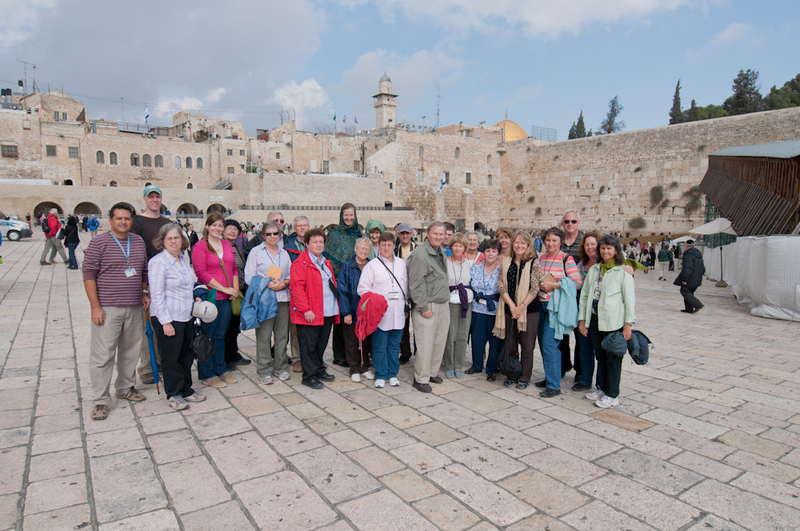 Once we had posed for some pictures and took our time walking around the street, we exited the excavations and walked a short way north towards the Ha-Kotel, or Wailing Wall. 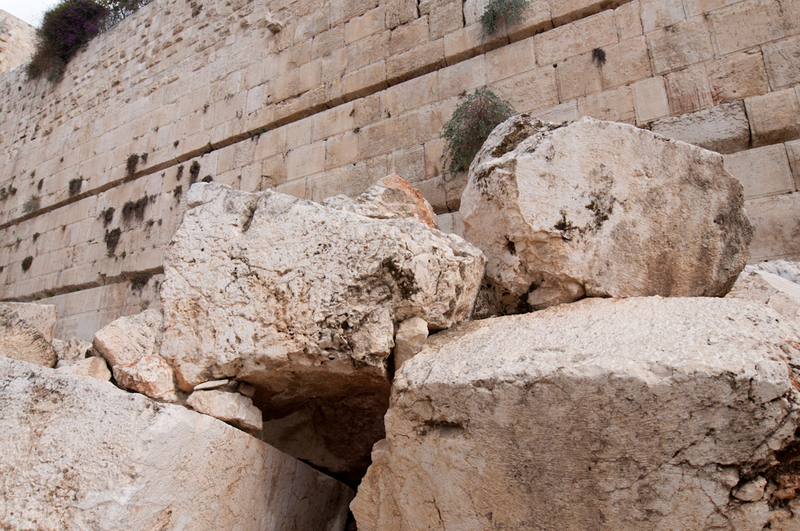 This wall is a remnant of the retaining wall that Herod had built around the Temple, and is the only thing that remains of it to this day. 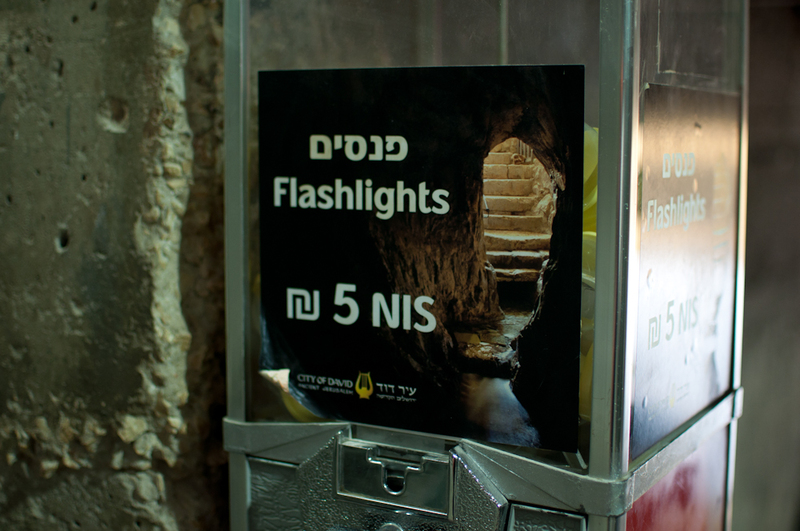 It is the holiest of Jewish holy sites, and thousands of people pray here every day. The wall is divided into a men’s section and a women’s section, and it is a buzzing hive of activity and fervent prayer. 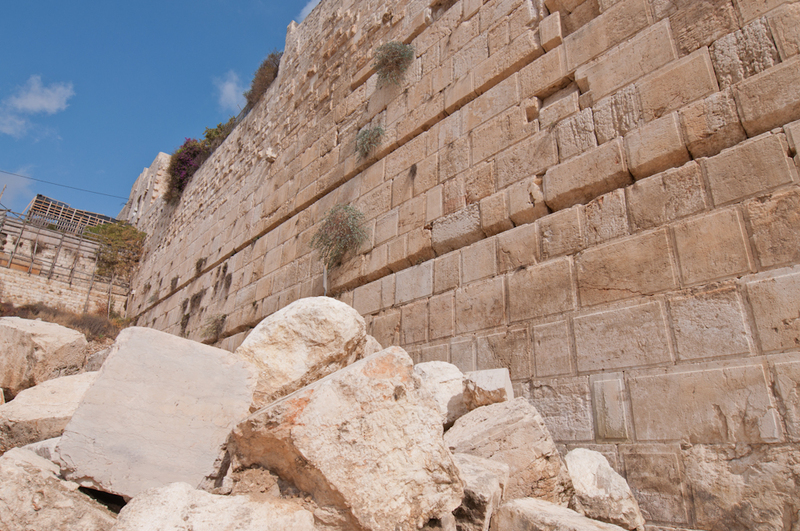 We each take some time at the Wall, saying a prayer for Jerusalem and the Jewish people, and for the peace of Israel. After we spent some time at the Kotel, we headed to a falafel stand for some delicious lunch. Surrounding the stand is a strip mall, filled with kitchen goods stores, bakeries, and other interesting places. Many of us purchase some baklava, or even a cappuccino, at a nearby store before reboarding the bus to visit the Bethlehem Olive Wood store. This is one of the best places to purchase olive wood carvings, and they also have a large selection of antiquities. 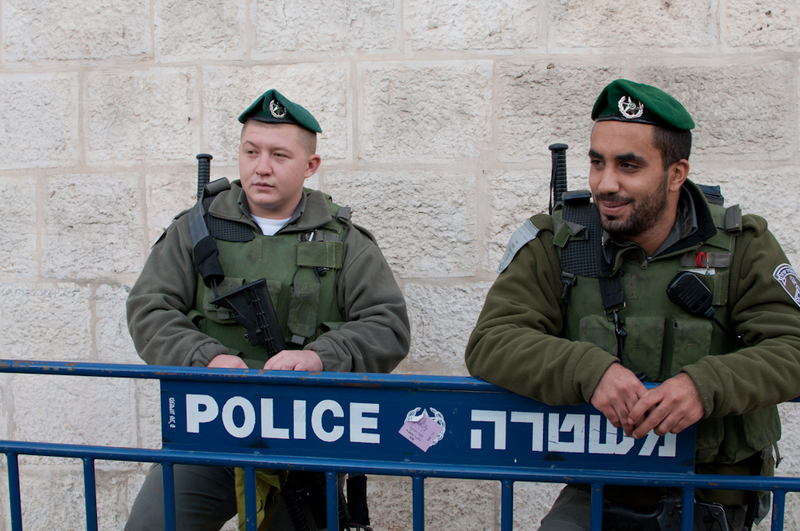 Although we usually make our stops here at night, because today is Shabbat we opt to stop in the middle of the day, because they close early. Everyone loves olive wood, and this shop has some of the most exquisitely carved pieces. 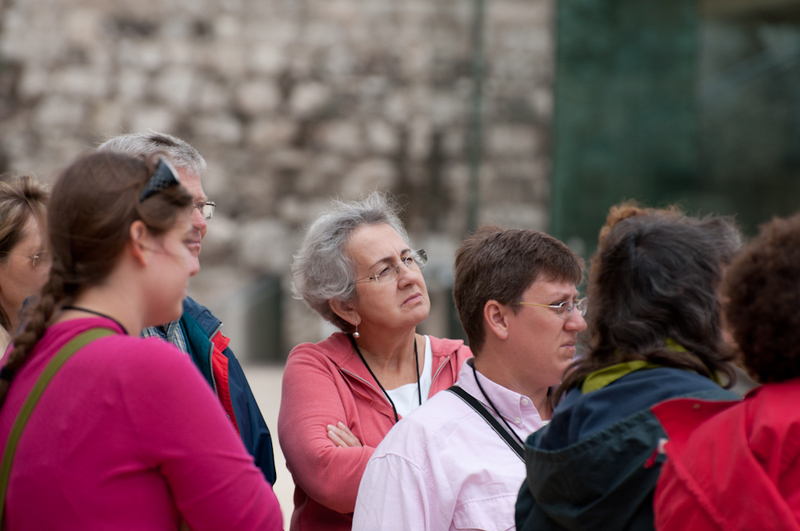 Once we each find something we simply cannot live without, we get back on the bus for a short ride of the Lion’s Gate, also called St. Stephen’s Gate, and begin our travels through the Moslem section of Jerusalem. 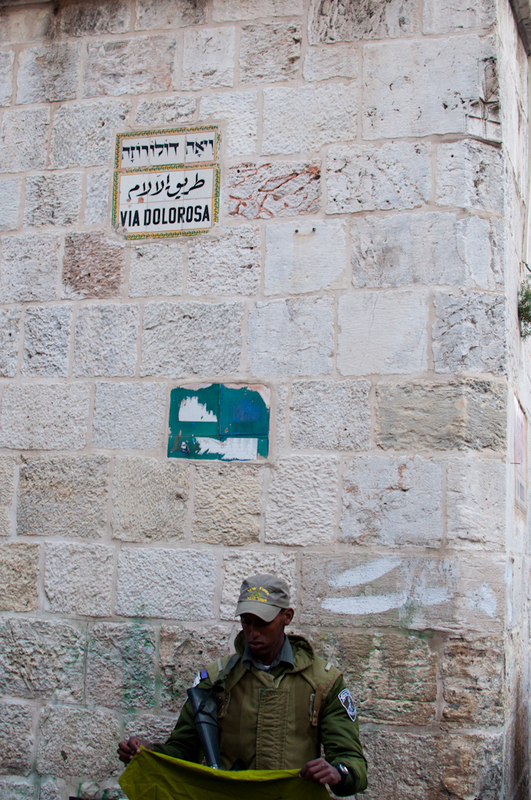 Though we do not particularly like traveling through this area, is it necessary for us to do so in order to see many important sites, and travel along the Via Dolorosa. 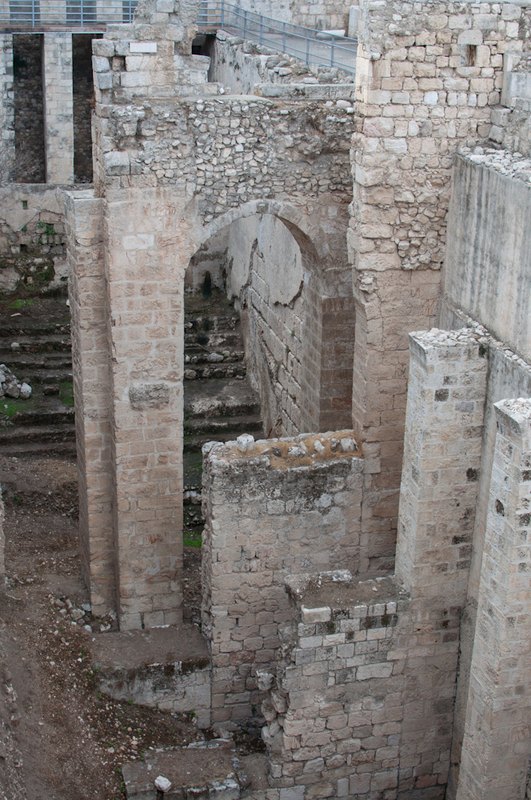 The first stop in our journey is the Pool of Bethesda, and St. Anne’s Church. 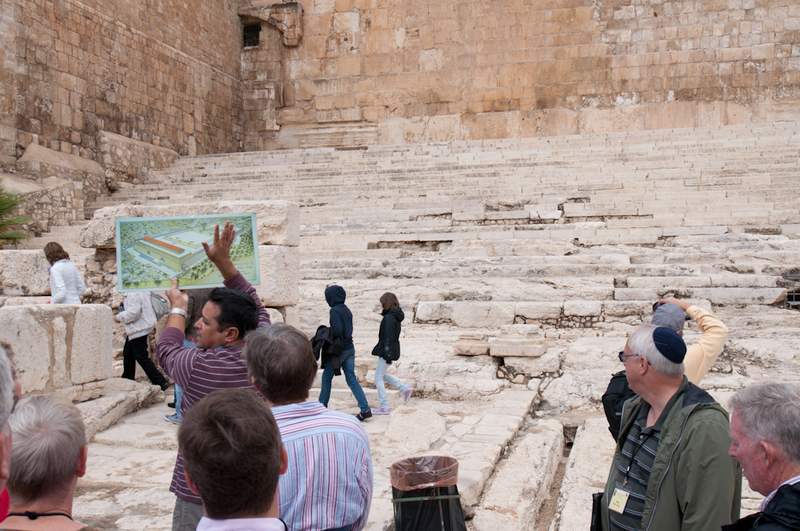 The pool is the location of Jesus’ most famous miracles, the healing of the lame man on Shabbat. Marks reads to us John 5:1-18, and we gaze at the remains of this once much larger pool. 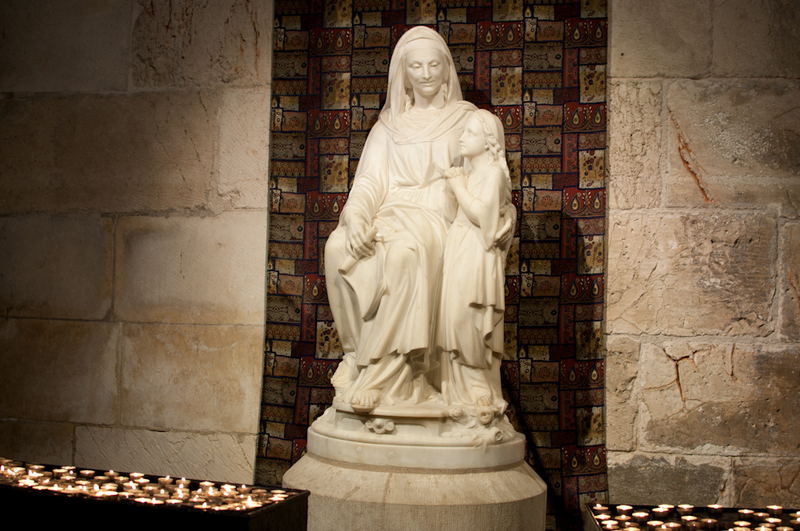 We walk across the courtyard to the basilica called St. Anne’s, which honors Mary’s mother, who according to tradition was born nearby. This church has the most amazing acoustics, and can make a choir of 25 sound like one of 200. So, of course, we had to take advantage of it. We sang a few hymns, and enjoyed the resounding echoes of our voices dancing around the columns and the last strains of our words fade away. It is truly beautiful. After leaving St. Anne’s, we walked a short ways up the street, dodging cars and people, before arriving safely at the Fortress of Antonia. 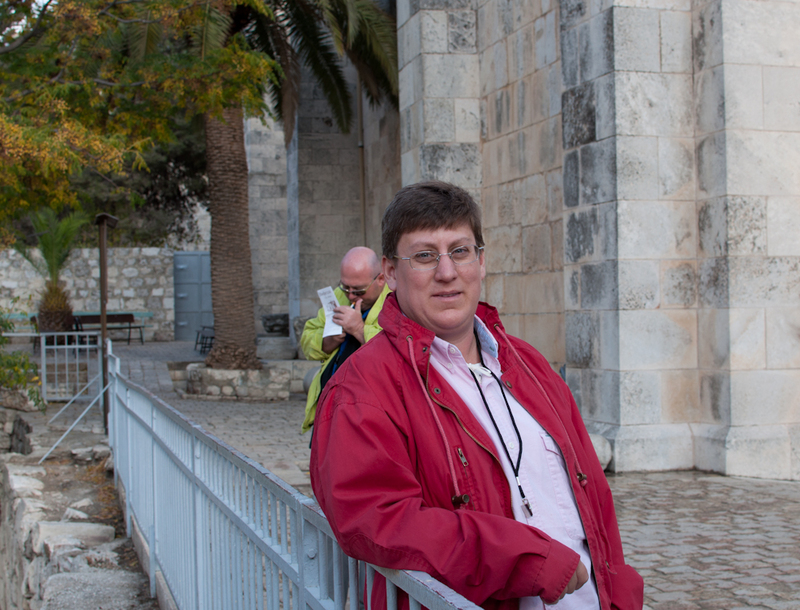 This place was once at the northern corner of the Temple Mount, and was built by Herod to honor his friend Mark Anthony. 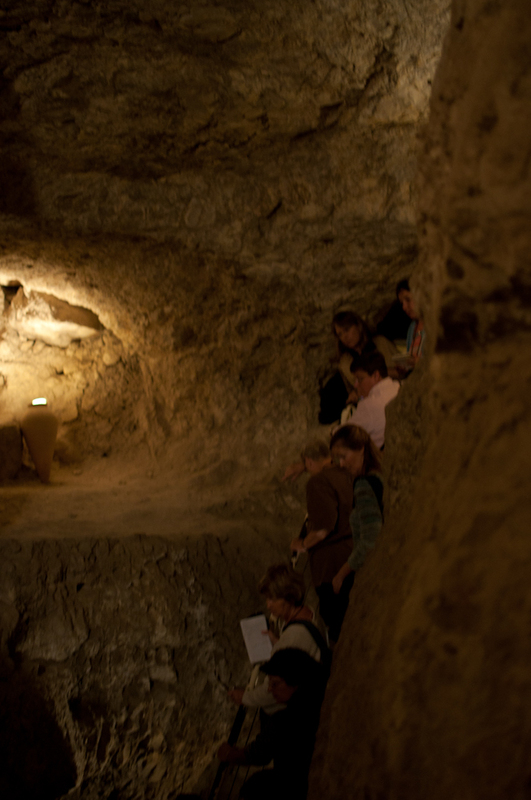 This is also where Jesus would have been brought before Pilate, and sentenced to die. 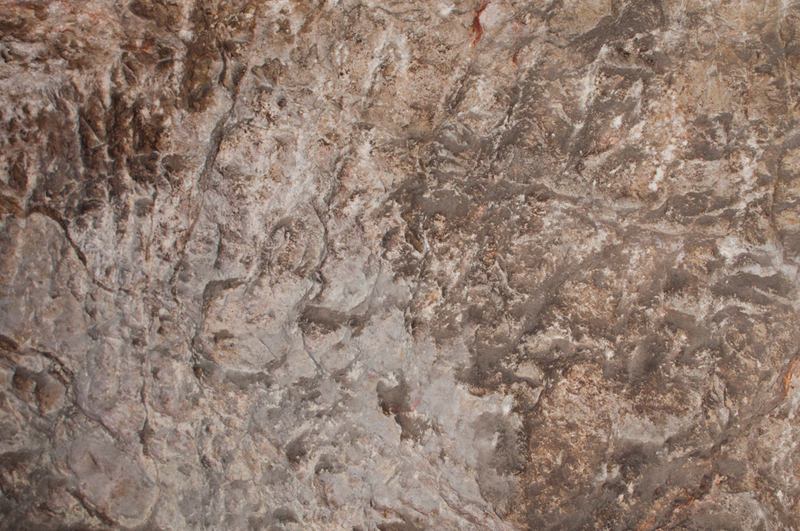 Although the fortress itself is no longer, the pavement where Jesus would have stood is still there. 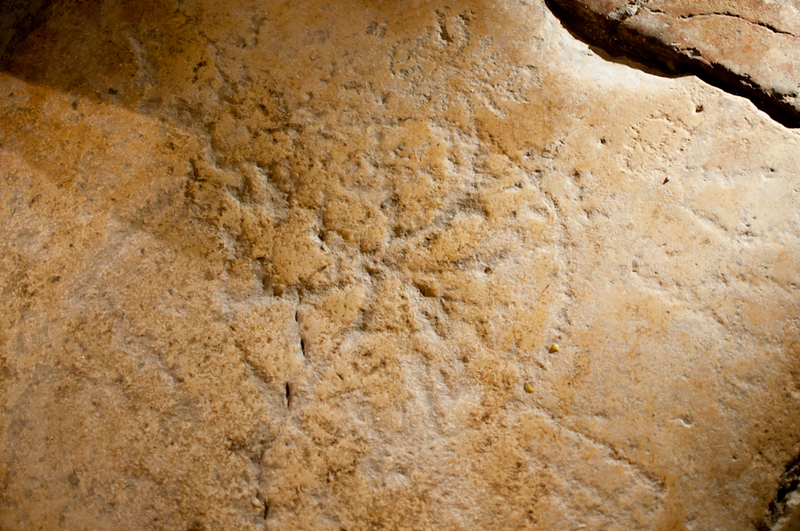 We gather next to a tile that has a most unusual design scratched into it. This is the King’s Game, and it is speculated that the Roman soldiers would have played this macabre game on Jesus. It involved crowning a prisoner king, flogging them, and in the end, killing them. Based on the description of Jesus’s suffering, the evidence lines up that He would have been a victim of this torture. 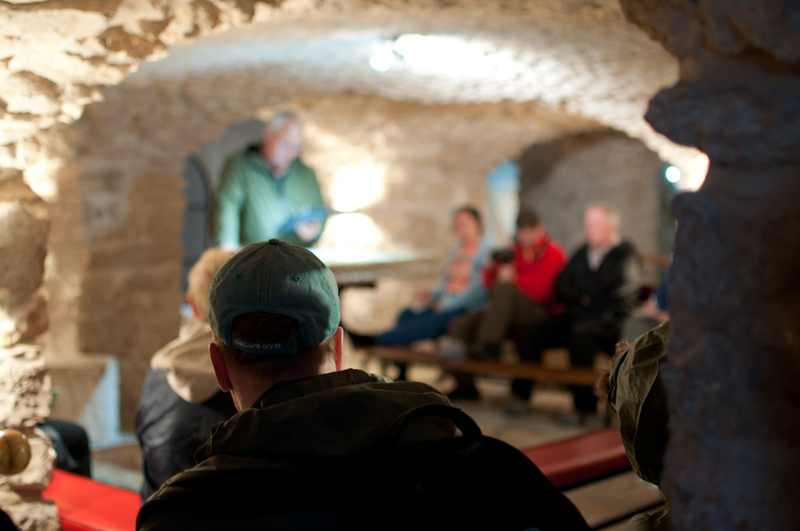 We are all a subdued as we listen to Mark read Matthew 27, and we are humbled as we are reminded that we are all members of the bloodthirsty crowd that called for the death of Jesus. It is by His grace that we are saved from our fate – more than we deserve. 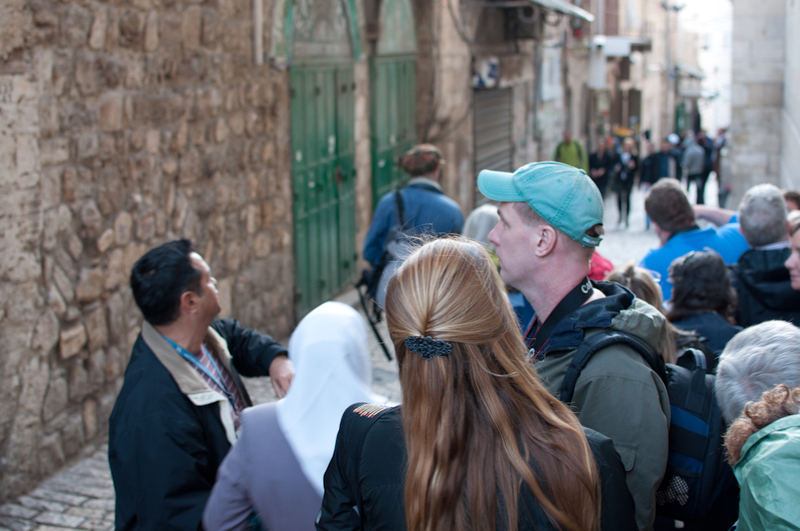 After we take a few minutes to touch the pavement where our Savior shed blood for us, and offering up a prayer of thanksgiving, we return to the streets to follow the end of the Via Dolorosa. 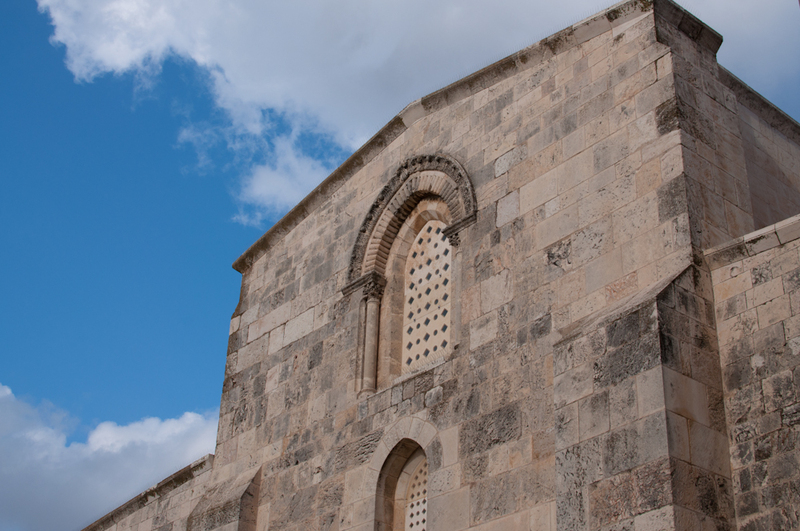 We pass a few Catholic groups, which Yuval jokingly says are “going the wrong way.” They are heading to the Church of the Holy Sepulchre, however, we are heading towards Gordon’s Calvary, a site we will actually visit tomorrow. 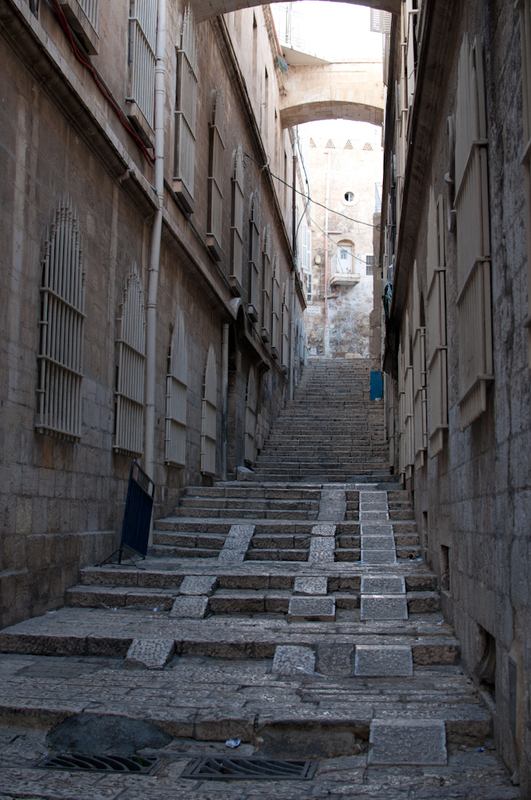 We follow the road out of the city via the Damascus Gate, which is now a bustling souk, or open-air market. Once we exit the city, we are facing Calvary, which is hidden behind some buildings today. It is a powerful reminder of what we are to see tomorrow.